Cell type-dependent penetration of nanodiamond in living cells is one of the important factors for using nanodiamond as cellular markers/labels, for drug delivery as well as for other biomedical applications. In this work, internalization of 100 nm nanodiamonds by A549 lung human adenocarcinoma cell, Beas-2b non-tumorigenic human bronchial epithelial cell, and HFL-1 fibroblast-like human fetal lung cell is studied and compared. The penetration of nanodiamond into the cells was observed using confocal fluorescence imaging and Raman imaging methods. Visualization of the nanodiamond in cells allows comparison of the internalization for diamond nanoparticles in cancer A549 cell, non-cancer HFL-1, and Beas-2b cells. The dose-dependent and time-dependent behavior of nanodiamond uptake is observed in both cancer as well as non-cancer cells. The mechanism of nanodiamond uptake by cancer and non-cancer cells is analyzed by blocking different pathways. The uptake of nanodiamond in both cancer and non-cancer cells was found predominantly via clathrin-dependent endocytosis. In spite of observed similarity in the uptake mechanism for cancer and non-cancer cells, the nanodiamond uptake for cancer cell quantitatively exceeds the uptake for non-cancer cells, for the studied cell lines. 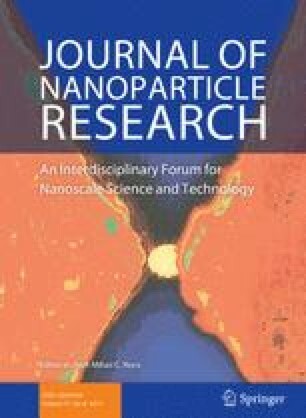 The observed difference in internalization of nanodiamond by cancer and non-cancer cells is discussed. The authors would like to thank the National Science Council (NSC) of Taiwan for financially supporting this project through National Nano Science and Technology Program under grant NSC-99-2120-M259-001.